The image of surfing is everywhere in American popular culture – films, novels, television shows, magazines, newspaper articles, music, and especially advertisements. In this book, Kristin Lawler examines the surfer, one of the most significant and enduring archetypes in American popular culture, from its roots in ancient Hawaii, to Waikiki beach at the dawn of the twentieth century, continuing through Depression-era California, cresting during the early sixties, persistently present over the next three decades, and now, more globally popular than ever. 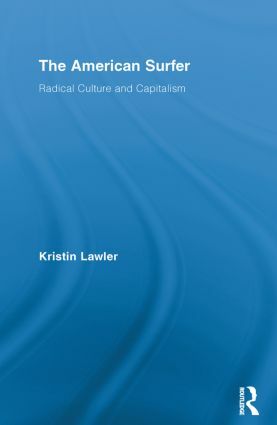 Throughout, Lawler sets the image of the surfer against the backdrop of the negative reactions to it by those groups responsible for enforcing the Puritan discipline – pro-work, anti-spontaneity – on which capital depends and thereby offers a fresh take on contemporary discussions of the relationship between commercial culture and counterculture, and between counterculture and capitalism. Kristen Lawler is Assistant Professor of Sociology at the College of Mount Saint Vincent.